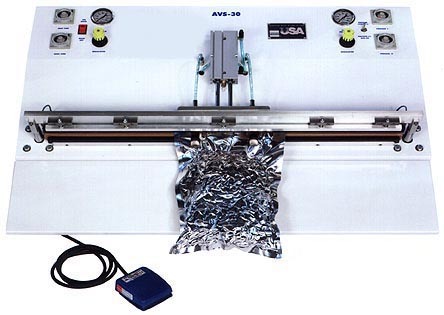 AVS Series of Table Top Vacuum Sealers. ALL seals are guaranteed to be airtight and watertight, making the AVS Vacuum Sealers ideal for food, medical and electronic applications. 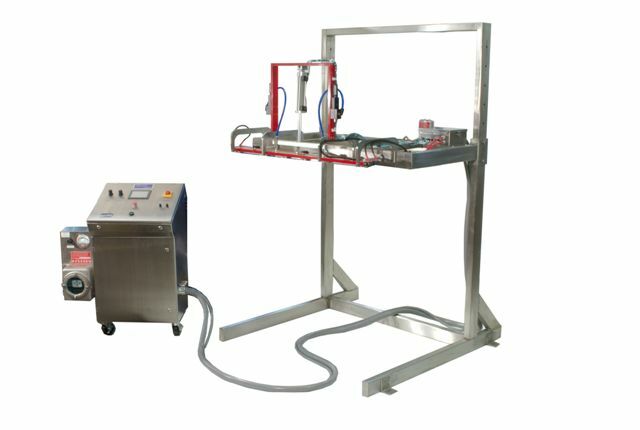 The integrity of each seal of our vacuum sealers is accomplished thorough the use of dual 1/4" NiChrome seal bands combined with variable range timers which provide the user with extreme control over seal and cool time. This combination assures faster vacuum seals and outstanding seal integrity. 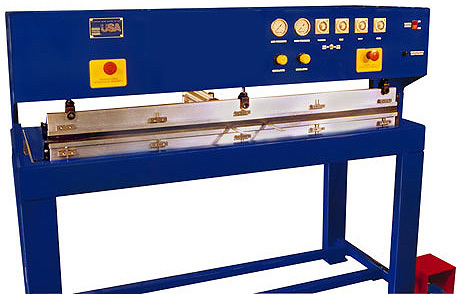 As with all ALINESYS.com vacuum sealer equipment, safety and ease of use are a paramount concern. Each vacuum seal bar is designed with a low pressure descent preventing any possibility of harm to the operator. 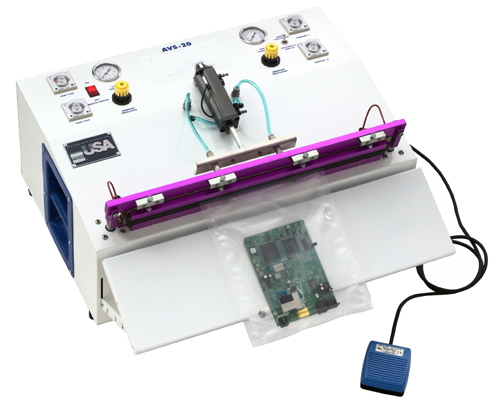 ALL vacuum sealer UNITS are virtually maintenance free and require minimal operator training prior to use. Changeover of components such as heating elements and PTFE tape require only minutes to complete. With ALINESYS.com's extensive experience in thermal heat sealing and vacuum sealer technology, we stand ready to customize highly specialized applications. Vacuum sealer packages including chambers, can be incorporated into our line of heavy duty sealers or custom contour vacuum sealers. 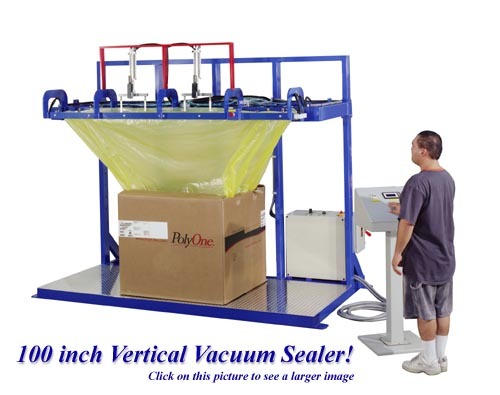 100 inch vertical vacuum sealer!